One of THE best days I’ve had at work this year was the one I spent with fellow judges, Robin Hapi and Ian Taylor, talking to the finalists in the inaugural Maori Economy category of the HiTech Awards. Without exception these finalists were not only great businesses – spanning startups to mature enterprises – they were also being run by talented, wonderful people. What excited me though was how vividly clear it was that the values under pinning these businesses were shared by New Zealand’s angel investors. For the rich rewards – of course they hope for a financial return but the “psychic return” of doing good and contributing to lifting NZ higher is also a key reason why people become angels. Kaitiakitanga – which is about guardianship of natural resources but also extends to sustainable enterprise and taking care of assets as kaitiaki or guardians, the owners and trustees of an enterprise are responsible for protecting (and/or growing) resources for future generations. The call for more Maori engagement in our rock star, high growth businesses and business people is getting louder. The New Zealand economy generally and the Maori economy specifically need more successful entrepreneurs. Did you know that all the net new job growth in an economy comes from new businesses? Ian Taylor made the point during the day we spent with the finalists that our young people need more successful business role models. So true!! Many of these budding role models and businesses would benefit from angel support. Providing capital is only a part of what angels provide. The money is just the fuel in the tank. Fuel in the tank means very little without skill behind the wheel and an experienced support crew. Experienced people who’ve been there before, who know who to talk to and where to source the best resources. And like driving a Formula One car, angel investment is not for the faint hearted. It’s a portfolio game with 90% of your returns coming from just 10% of your portfolio ventures. 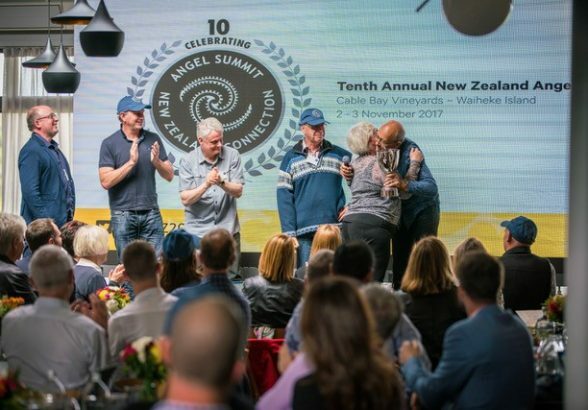 More Maori engagement in early stage investment, will find the right time and place to come alive and gain momentum but the word is out now … New Zealand’s angel investment community is keen to do as much as it can possibly can to help.